in Haltom City (Fort Worth), TX as of Dec. 4, 2004. (Local address is 4901 Denton Highway). 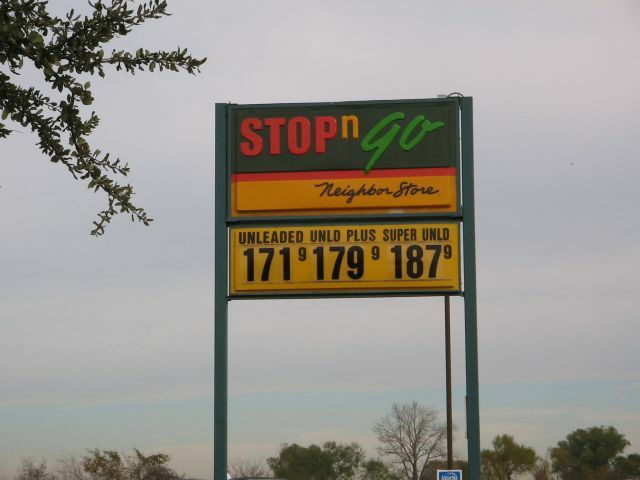 I remember some Stop n Go's in Arlington selling "Gulf" gasoline. You don't see this sign standing alone much anymore, usually its a D.S. main brand sign with this logo on building. Photo and comments by David Aldred. Update from David: As of March 4, 2010 this store is now carrying the Texaco brand.